Ya I think so too. 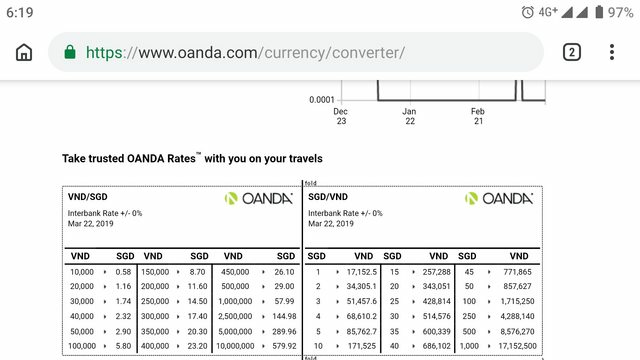 $27 to cover 3 days Batam, 3 days Malaysia and 7 days Vietnam more worth it (although I do have a permanent 500MB per month data plan for Malaysia). Any food recommendations for Hanoi? I have 2 evenings there. Checked out Mdm Khoa after watching Gordon Ramsay but the reviews are disappointing. Want something awsome, try " Bun Dau Mam Tom" - “smell like hell, taste like heaven” . At TSN Airport, if take grab is about 100k, better to take at departure there than the arrival as some time too crowded there. Hi all, can you recommend a reputable motorcycle rental in HCM City please? preferably one with well maintained bikes and don't need to retain our passport... don't need anything fanciful, just a small bike for commuting around the city. Sadly, these were all due to past irresponsible tourists who rent bike. Refuse to neither put down cash security nor put down passport. Last edited by Henabi; 23-03-2019 at 08:17 AM.. It's a standard practice to put your passport as a collateral. Unless you are very familiar with the person who rent to you. Saw some fb posts, those ang mo rent and lost the bike due to theft, but refused to compensate. Instead, they ran away and go to another shop to rent. Then the same theft thing repeats. You can ask your hotel if they can rent you. Usually they have spare bikes for rent. Not all hotels rent bikes. You need to check first. So far in hcmc, I only know Cong Hoa minh tam hotel rent out bikes because they have a sizeable bike carpark at the back of the hotel. Some of Those parking places with parking valet and security will purposely mark your car/bike with white chalk and then give you a number card. Don't lose that number card. If you lose it, the security has the right not to let you take the car/bike away. Last edited by Henabi; 25-03-2019 at 09:02 AM..
Just in case, my coy mobility team says its good to leave behind your name card, hotel name card etc in the trunk of your car or inside. Just in case u lose ur card. This is how u should do in your hotel or. Luggage if theres dispute. But park at proper places lah. Would anyone have a recommended bike rental shop to suggest? for klook tour, should i do it now or when i reach HCMC? first time using this klook..
try to nego with them to leave cash deposit instead. As you know, we are foreigners, Passport is like our ID abroad. And its crucial whenever you get stopped by the Vietnam Police. in Many SEA countries, the local police people are still VERY traditional or "old school". in their eyes, we are like Pots of Moving Gold Bars.... can chop chop chop for kopi money. Make sure you have your Bike license as well and international motorbike insurance policy. Last edited by Henabi; 25-03-2019 at 12:32 PM..